Play through 120 Halloween-themed levels in this card game. Is there a better alternative to Solitaire Game Halloween? Is Solitaire Game Halloween really the best app in Card and Board category? Will Solitaire Game Halloween work good on macOS 10.13.4? Solitaire Game Halloween needs a review. Be the first to review this app and get the discussion started! Solitaire Game Halloween needs a rating. Be the first to rate this app and get the discussion started! 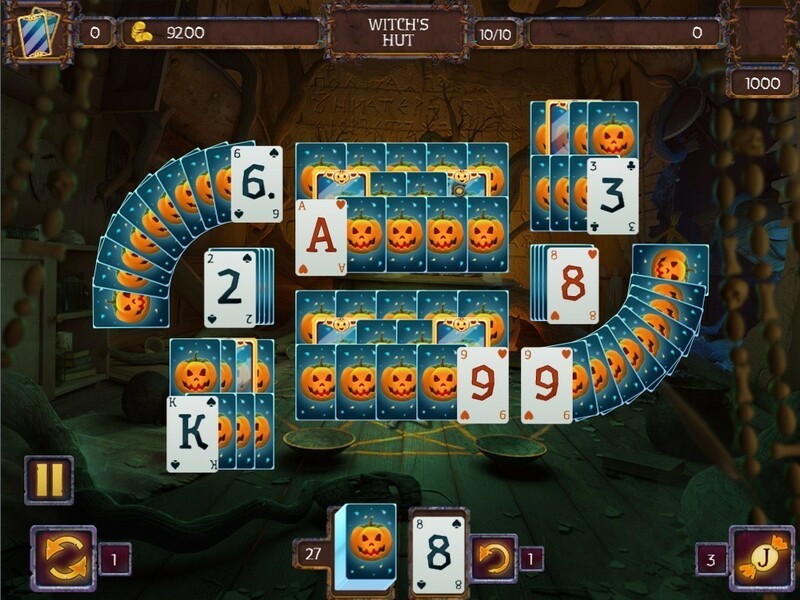 Solitaire Game Halloween contains 120 new Halloween-themed levels and is a real treat for solitaire fans on Halloween. Boo! Today you have a unique opportunity to remember Halloween night! Are you afraid of ghosts? Can you get a lot of tasty candies faster than your friends? 12 mystical locations and entertaining gameplay. Make chains of cards, use bonuses, do different combos and get real halloween treat! For daring players, we offer special achievements and trophies. You can select your game mode to tailor the game’s difficulty to suit you, so new players and solitaire masters alike will find themselves entertained. 120 levels accompanied by funny Halloween-themed music. Trick or treat! Enjoy new hands in our special holiday solitaire!